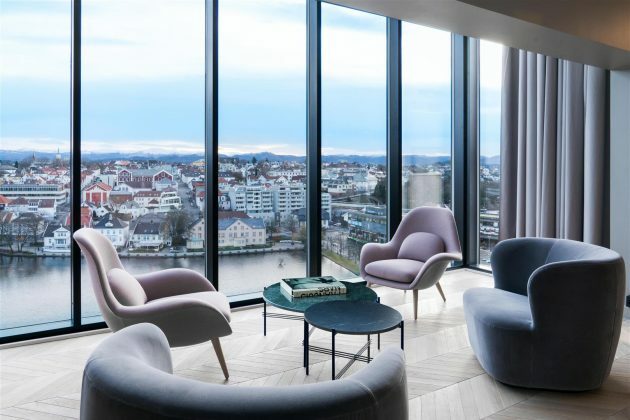 Recently, one of Norway’s most iconic hotels, the Radisson Blu Atlantic Hotel, Stavanger, reopened its doors after more than one year of renovations at a value of NOK 465 million. The General Manager is delighted to welcome the guests back and is confident the ‘new’ hotel will contribute positively to the entire region. “It is wonderful to welcome back all our staff-members, guests and locals. 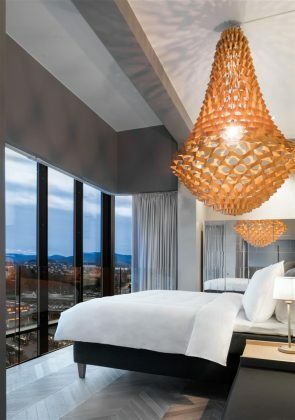 We are looking forward to again giving all of Stavanger, and the rest of Norway, world-class food-, culture- and hotel experiences,” says Jens Brandin, General Manager at Radisson Blu Atlantic Hotel, Stavanger. Rezidor Hotel Group and KLP have invested NOK 465 million in the renovation of this landmark hotel and the ambitions are sky high. “This has been an exciting project for KLP. We know that the hotel means a lot for the locals in Stavanger and that many have a strong relationship with the hotel. 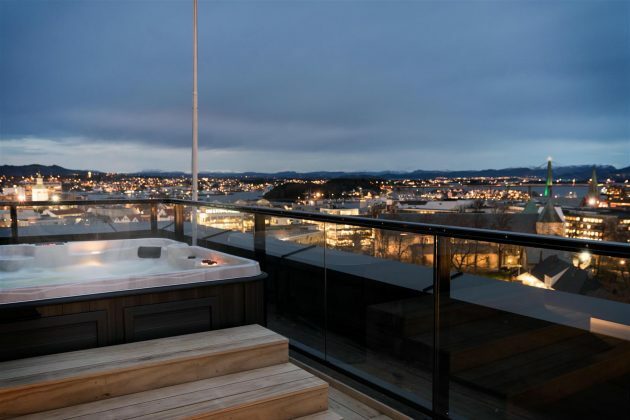 The good cooperation with Backe Rogaland and Rezidor Hotel Group has been crucial in order for Radisson Blu Atlantic Hotel to reaffirm its position as Stavanger’s key hotel,” says Christopher Raanaas, Managing Director of KLP Eiendom’s hotel management. To ensure that the guests get the best experiences possible, the hotel has undergone an extensive renovation covering all parts of the hotel. Now the hotel has a brand new reception and the guest rooms, the 15 meeting rooms, with a total capacity of more than 2000 guests, and public areas are newly renovated and ready to welcome the guests. The new lobby appears as an art piece in itself, and is the perfect venue for exhibitions, festive events and cultural happenings. Last week, the brand new restaurant also opened with the award winning international concept ‘FireLake’. “The hotel has always been a cultural gathering point and with this upgrade we are aiming to again become the city’s favorite meeting place. That is why we have put a lot of love in creating the city’s best meeting and event venues, as well as what is probably Norway’s most stunning lobby”, says the General Manager proudly, adding that the service concept has also been upgraded. 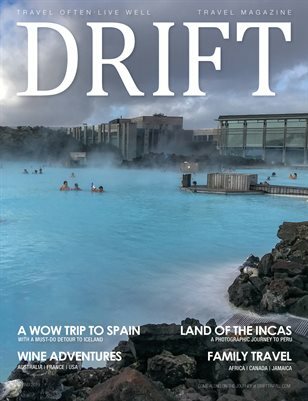 “We aim to give each and every one of our guests unique experiences that will exceed their expectations”, explains Brandin. 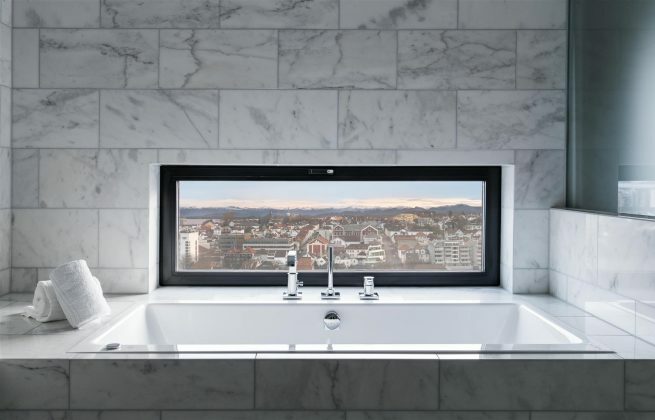 The Stavanger-based design company LINK Architecture is responsible for the design of the new Radisson Blu Atlantic Hotel, Stavanger. “Iconic”, “Stylish” and “Sophisticated” have been key terms in the development of the interior and durable quality materials such as marble, brass, copper and dark wood have laid the prerequisite for the interior design. 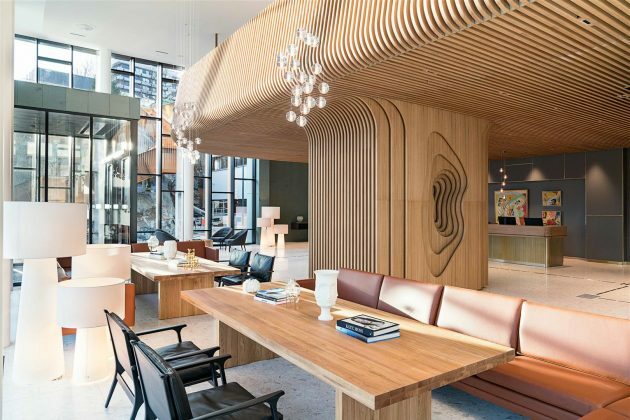 With its straight lines, the new interior has references back to the 1950s / 60s, combined with a modern use of the materials and design ideas of today. 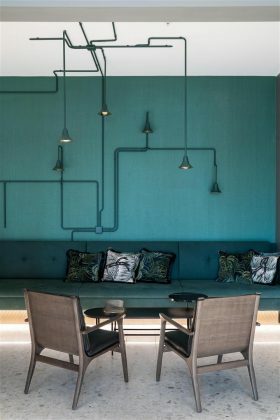 To enhance the guest experience, the design of all 365-guest rooms are inspired by the rich history and soul of the hotel and Stavanger city. Just a short walk away from Radisson Blu Atlantic Hotel, Stavanger, the guests will also find the sister hotel Radisson Blu Royal Hotel, Stavanger. This hotel has 215 inviting guest rooms and 4 modern meeting spaces. 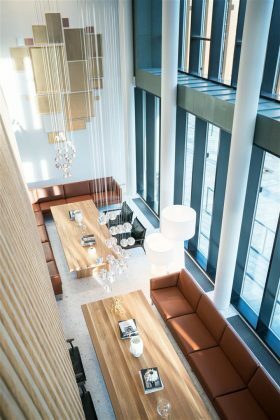 Radisson Blu Royal Hotel is also home to the success restaurant ‘26 North Restaurant & Social Club’, which the guests have ranked on TripAdvisor as the best restaurant in Stavanger.